A fast-paced career can play havoc with your stress levels during working hours. Then many people find that they return home and are still carrying the day’s worries with them. That’s why it is so important to find ways to relax once you do put your foot through the door. Hopefully, some of the methods below will help you de-stress during the evenings. As soon as you get home, make sure you strip out of your work clothes. Doing so will help inform your subconscious that it’s time to relax, so grab a comfy T-shirt and shorts. 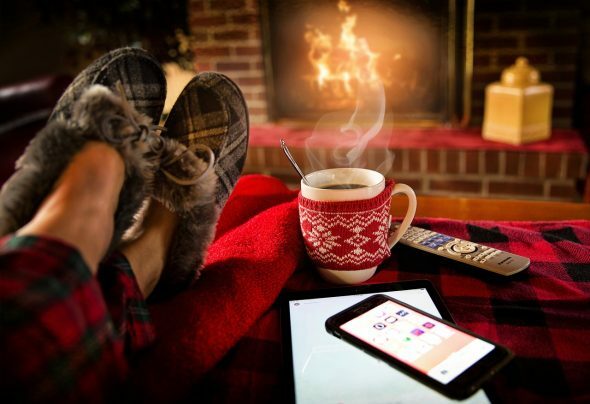 Regarding chill out time, although watching the latest TV show might be more appealing, research has shown that reading is a good way to relax. The right book requires concentration and can distract your mind from the day’s problem, which is in contrast to watching TV (a much more mentally passive activity). If your thoughts are racing after a stressful day, then consider sitting down and writing. Keeping a journal is a great way to reorganize your thoughts and calm your demeanor. Now, don’t think that you have to write a novel. A couple of paragraphs about your day is more than enough. As well as writing out your thoughts, spending time with your thoughts can also be a good way to unwind. You do not need to be a guru to get benefits form mediation. While shutting off your racing thought made not be easy, by seeking some peace and quiet every evening you can experience benefits to your emotional health. If you have spent all day hunched over a desk, then it may be time for some stretches. Doing some quick exercise at home can help you ease out aches and pains while helping you relax. Massages are known to be beneficial for your body if it is under strain. You don’t need to visit a professional masseuse when you can simply give yourself a massage at home. Consider purchasing a handheld electronic massager so you can get relief whenever you need it. These devices are often inexpensive and easy to use by yourself. To read reviews of different massage products, visit topexpertchoices.com. When selecting a track, steer clear of metal or heavy rock. You want to pick something more soothing to relax after a hard day. Soft instrumental or classical music is a good option. You don’t want to take your work problems home with you. You may have heard the expression “When you work, work, when you play, play, don’t mix the two,” so try to keep your work obligations at work where they belong. Remember, you’re off the clock now, and you’re not being paid to worry. Most people spend a disproportion amount of time worrying about work, but the trick is to find methods to relax once you arrive home. Now, these tips may seem simple but incorporating some of them into your evening routine can help you de-stress and forget about the nine to five grind.